Do you need a ScubaPro Snorkel Vest? Although a lot of people can swim, swimming in the ocean can be a completely different beast when you're not used to it. Regardless of how good or strong a swimmer you are, the ScubaPro Snorkeling Vest will give you peace of mind and make you feel more comfortable when snorkeling. The ScubaPro Snorkeling Vest allows you to enjoy snorkeling for longer periods before getting tired. If you already know the Snorkeling Vest by ScubaPro is for you, click on the button below to see the latest prices and any discounts that apply on Amazon. Do you need a ScubaPro Snorkeling Vest? How does the ScubaPro Snorkel Vest work? How comfortable are these and do they 'ride up'? Wondering how to take your Snorkeling to the next level? The ScubaPro Snorkel Vest will help control your buoyancy in the water. It has an easy-to-use oral inflator tube and a quick dump valve for added flotation control. You increase and control your level of buoyancy by blowing air into the tube to inflate the vest. 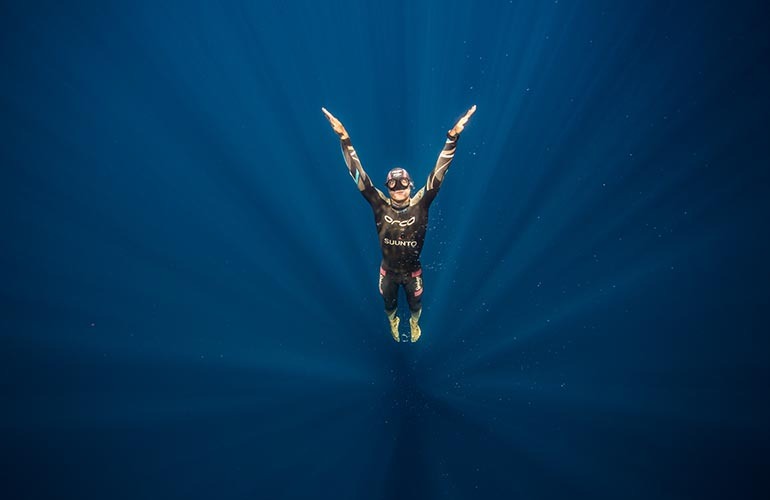 If you want to dive below the surface, air is released by pressing on the tube. 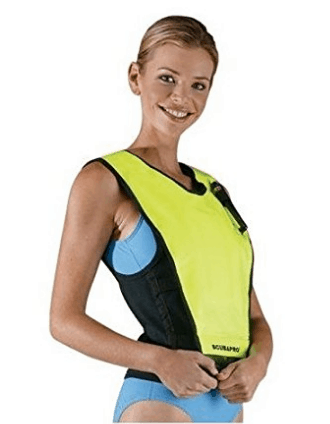 This vest comes in either Hi-Viz orange or Hi-Viz yellow with a dark colored back piece. Having this back piece will provide some protection from over-exposure to the sun. 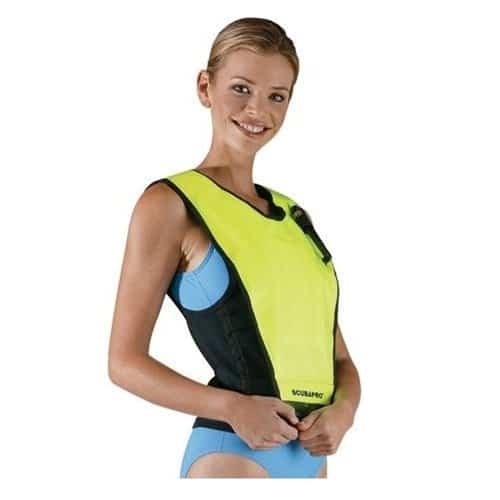 If for any reason you need to rest or float on the surface, people generally turn over and float on their back, making the fluorescent front side of this vest very easy to see. The vest is not a life preserver but it will help you stay afloat, especially if you become fatigued or distressed. If you need more buoyancy, blow air into the tube and continue adding until you feel comfortable. Snorkeling and swimming in 50 ft. deep water after being beaten down by a couple of waves can be tough. I feel SO much more confident in going out on the water with this snorkel vest. The safety vest is made from 1/8" Neoprene. This adds some warmth while not compromising on comfort when snorkeling in warmer water. This vest has a quality zipper on the left-hand side with a velcro strap piece to keep the zipper closed and locked in position. There's a pocket for storing personal items. Keys etc. can be slipped inside a zip-lock bag and placed inside the vest pocket for added security. The ScubaPro vest offers a good fit and is much more stylish than most other options available on the market. 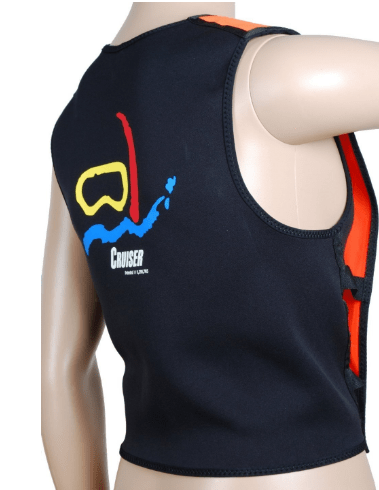 Using this vest will improve your enjoyment of snorkeling allowing for longer swimming periods before resting. 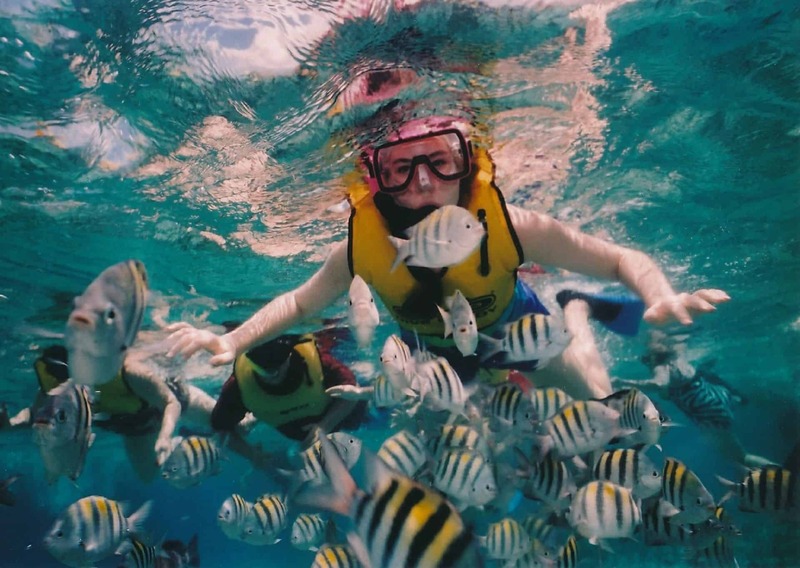 In some locations, snorkel vests are required by law for safety reasons. Having one of your own is more convenient than having to rent them from boat operators or dive shops. These safety vests are far more comfortable and less bulky than those available for rent (and sometimes, less smelly too). Generally, these do not ride up at all while snorkeling. Some people have mentioned that it feels like it rides up slightly when inflated and floating. This seems to depend on the fit though. If it does ride up a little, it's not enough to bother most people - this is just something to be aware of. When comparing to other snorkel vests that have the strap that runs from the back of the vest to the front of the vest between the legs, many people complain these are just as uncomfortable. The reality is, we're talking about snorkel vests. The ScubaPro Snorkel vest is one of the most comfortable, but it's still a snorkel vest - and there's always going to be a small number of people who just don't like the feel. I love snorkeling and wanted something that will last. For comfort and durability, I highly recommend the ScubaPro snorkel vest. It costs a bit more but it is easy to inflate, protects my back from the sun, and really is the best. These are adult sized vests. Measure your waist and check this measurement against the sizes below. If your measurements fall between these sizes, then make sure you order the next size up. Initially, the vest may feel tight or that there's not a lot of room but once you are in the water and have it inflated, it is true to size. If you're a larger chested lady, you may want to go up an extra size. All equipment or clothing used in salt water needs to be rinsed in fresh water and allowed to dry between each use. Do not leave it out in the sun for long periods. As with all Neoprene products, you can place the vest in the sun to dry for short periods, but it should be stored for longer periods in a ventilated, shaded area. If you forget to rinse it off after swimming, salt water will cause the product to smell. If this happens, there are specialized products available to get rid of the odor. I bought this product to relax and not have to worry when I'm a mile offshore and have been swimming for an hour or more check out cool coral reefs, schools of fish and / or Leopard Sharks. 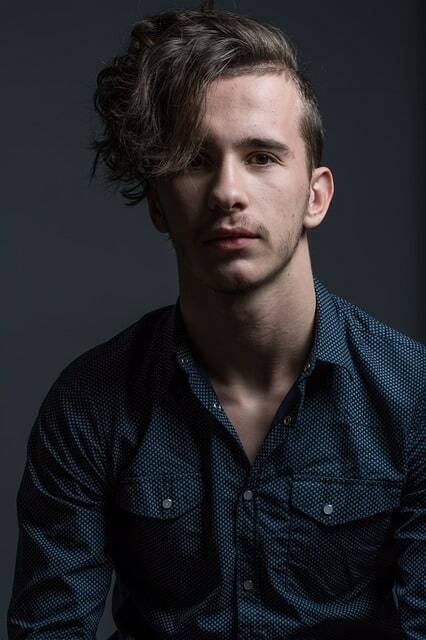 Let me just say, it does EVERYTHING I want it to. If you are new to snorkeling or not a confident swimmer, then the ScubaPro Snorkelling Vest is a quality product that offers a nice sense of security. These are very easy to put on, comfortable to wear and easy to inflate or deflate as needed. This is the top-rated vest and will assist with your buoyancy while snorkeling. This snorkel vest will also protect your back from excessive sun exposure during long hours of snorkeling. Full face masks hit the snorkeling market a few years ago and they continue to improve each year. Full face masks take a lot of the negatives out of snorkeling. There's no more jaw fatigue and no gagging on a snorkel mouthpiece. 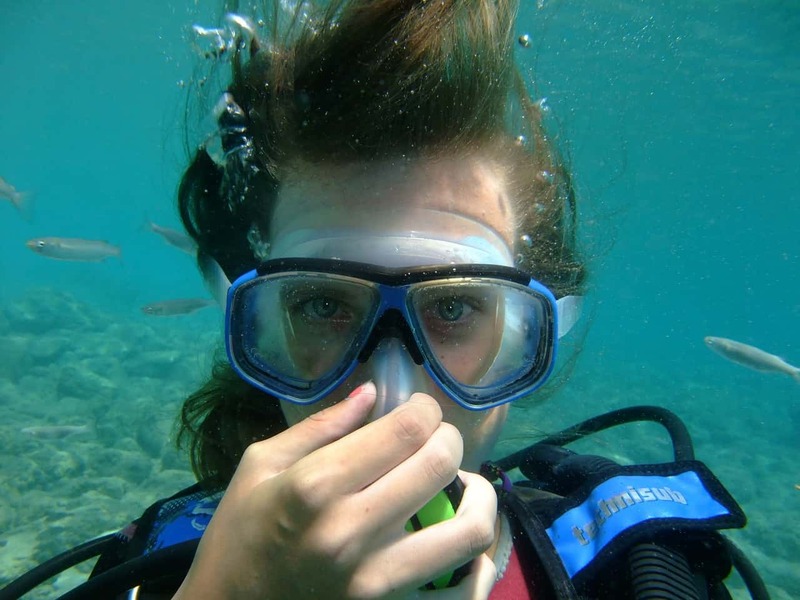 If you want to enjoy snorkeling then the next step is to invest in a full face mask. I can't recommend these highly enough. It's a game changer! What to find out more? 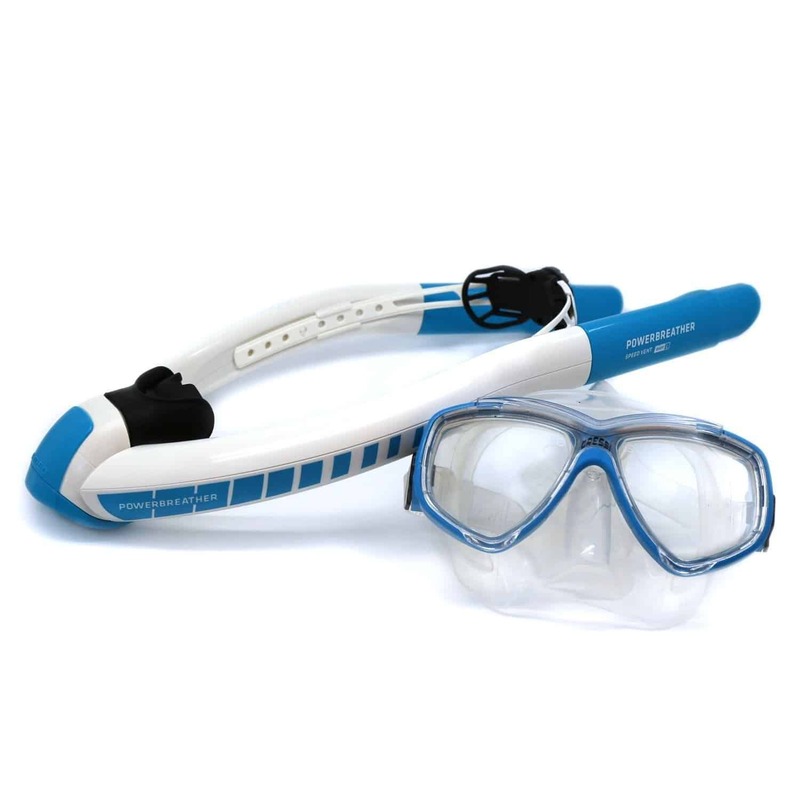 Have a look at the best quality and most popular full face snorkel masks here. What about the latest innovation in a more traditional type of snorkel? Have a look at the PowerBreather Snorkel here. 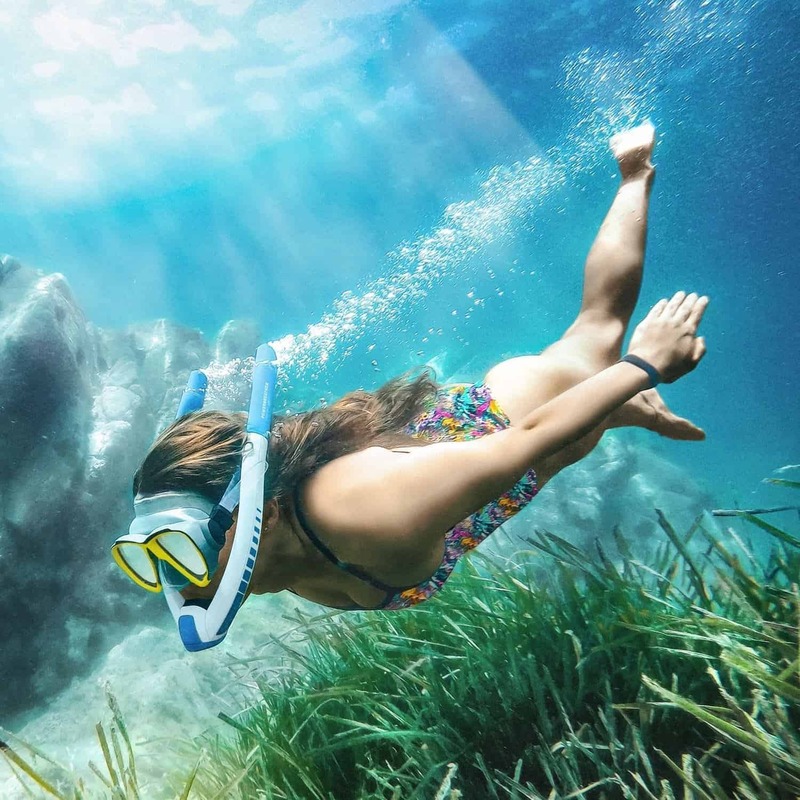 The 4 best swimming snorkels in 2019, and reasons why you’ll want one! PowerBreather Snorkel – Laps & snorkeling will never be the same! Gorilla Tough Duct Tape – Super Strong Duct Tape on Steroids! Excellent vest to use in the open ocean. The Scubapro Snorkelling Vest is great for snorkeling, especially in the open ocean. I used it when traveling to the Caribbean. Waves were 1-3 feet and having this on gave me extra confidence in the deeper water. It fit better than the ones provided by the resort. Plus the neoprene protects your back while facing down int he water from the sun. The vest fits very comfortably. You almost forget it is on. The only drawback was it is a bit pricey. But great safety device to ensure you are safe while having fun. My wife and I bought 2 of these for our trip to Fiji. Neither of us had ever snorkeled before and we wanted a little bit of extra protection. They worked perfectly and the fit and finish were superb. I was able to use various levels of flotation assistance as I learned to snorkel. After several days I was only using a small amount of air but it was good to know that I had it in case of emergencies. Totally recommend this product to new and experienced snorkelers alike.